It must be taken as an essential fact that the music videos of Rick Ross are first rate. 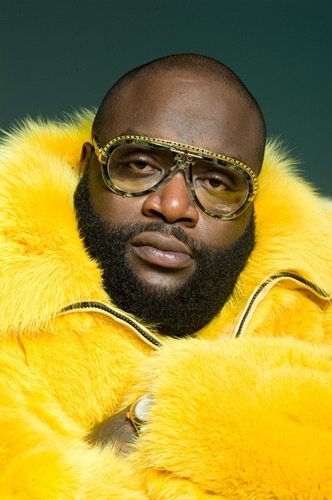 Rick Ross (pictured here as Big Bird) simply produces cinema. Among his best videos is “Speedin’”. The surrealist plot and deep attention paid to the baller lifestyle make it a standout in a deep catalog. I’ve realized that if Rozay ever wants to remake this masterpiece he should set it in Istanbul. He can replace that puny bridge from the video with the Bosphorus Bridge and make use of the plethora of yachts and speedboats in the area to create an armada. Plus, there are Lamborghini, Maserati, and Ferrari dealerships close enough to the bridge that you could take an intercontinental test drive and have them back at the dealership within 20 minutes. In viewing the many Byzantine style domes in Istanbul from a distance I got the feeling that they looked like something from Star Wars. After a Google search it appears that I’m not the only one to notice this, though my observation didn't make it to be anything sinister. Istanbul has the (supposedly) world’s shortest metro line. The funicular train only has one stop (or two if you’re counting return passage) and saves a good chunk of walking between Taksim Square and the tram stop at bottom of the hill. It’s one of the oldest underground rail lines in the world. Wouldn’t it be neat if Portland could get something like this? Absolutely not! It would go $40 million over budget and be practically useless to the general public. How does Turkey have a Shake Shack and Oregon doesn’t? I can’t count the number of times I’ve heard “Lean On” by Major Lazer played here in Turkey. I can't blame anyone for that. It's a catchy tune.